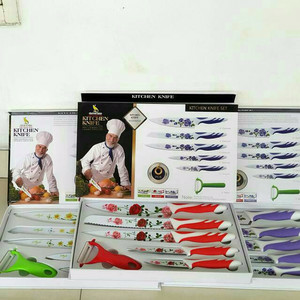 - 1 pcs Chef knife. - 1 pcs Carving knife. 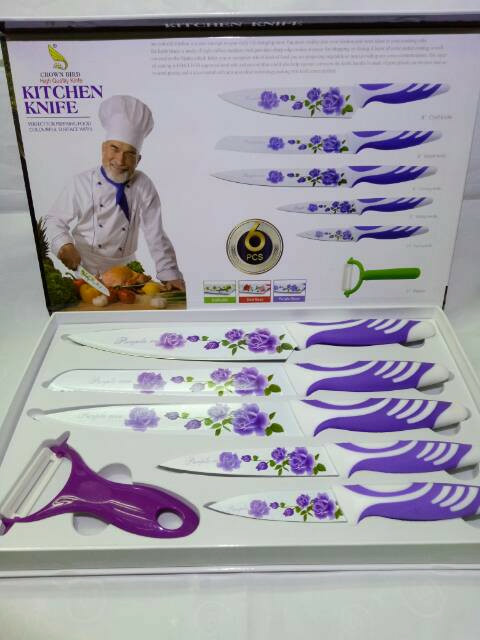 - 1 pcs Bread knife. 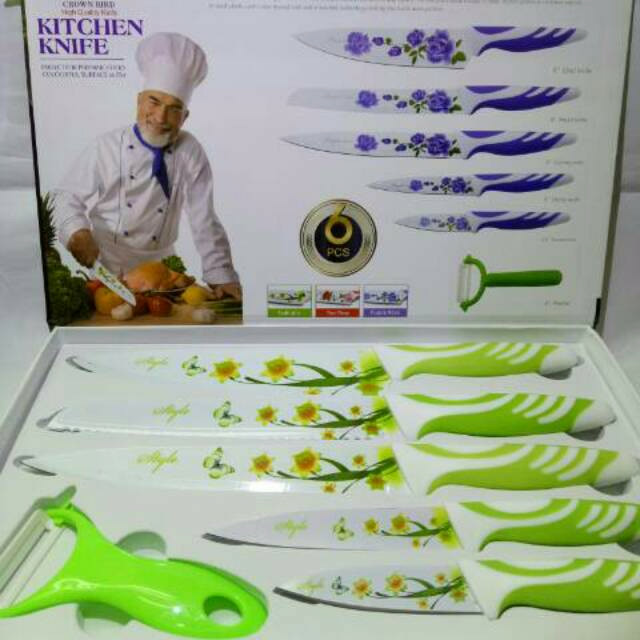 - 1 pcs Utility knife. 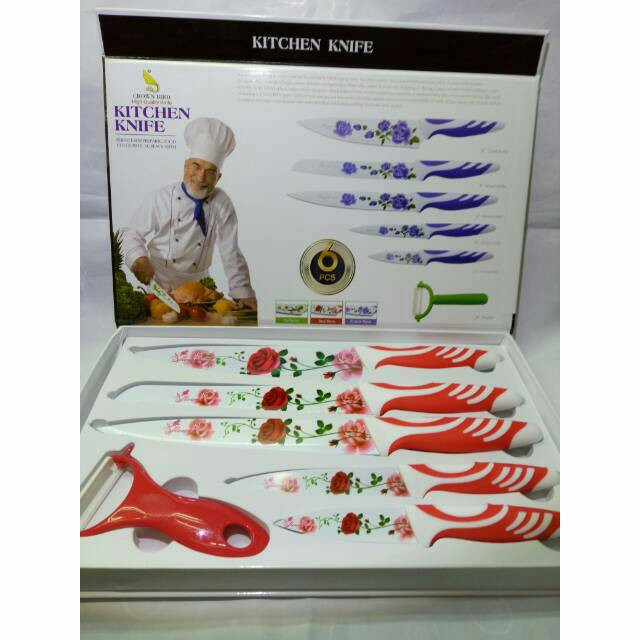 - 1 pcs Paring knife.